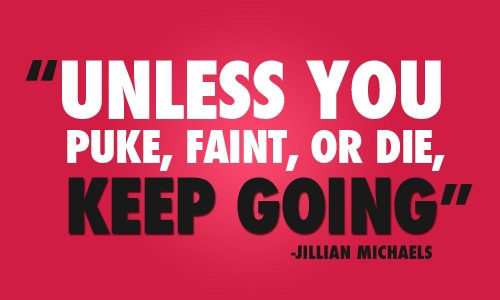 Unless you puke, faint or diet, keep going. How am I going to live today in order to create the tomorrow I’m committed to? You ask me if I keep a notebook to record my great ideas. I’ve only ever had one.